Over forty years into the franchise, it can be difficult to isolate the various factors that have contributed to Star Wars achieving a unique status as a pop culture franchise. 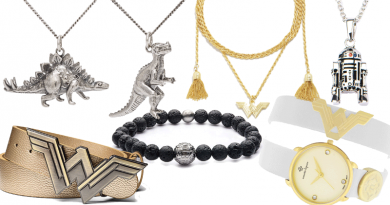 The 1977 film would be remembered as an iconic classic, like E.T. or Titanic, even if no sequels had ever been made; if the saga had ended with only the Original Trilogy, Star Wars no doubt would hold up well by comparison to, for example, Rocky or Jaws or Lord of the Rings. The Star Trek franchise has been telling stories longer than Star Wars, yet has never come close to reaching the same degree of ancillary revenue and market penetration from toys, videogames, apparel, and other merchandise and licensing; though the Marvel Cinematic Universe has become a box office titan in its first decade, the MCU too remains far behind in ancillary impact. Something – probably multiple things – about Star Wars has made it the pinnacle of broad-based financial and fandom success to which other serial storytelling franchises aspire. Looking back across its four decade trajectory, one dynamic seems to hold constant: fandom passion for Star Wars is greatest when fans are driven by anticipation, speculation, and other forms of enthusiasm for the question, What Happens Next? In the context of Star Wars storytelling, that question is implicated in different ways in three kinds of tales. First, ongoing major narratives: open-ended serial storytelling without pre-established fixed endpoints for the character arcs or the plotlines. Second, prequel or backstory narratives related to the principal saga: closed-ended tales which either are directed to reaching a specific endpoint, or at a minimum are constrained in substantial ways by pre-determined outcomes. Third, side stories apart from the main narrative: often one-shot stories but sometimes a recurring storyline with original characters (in the fanfic sense), in either case not directly implicating the plotlines or characters of the principal saga. Experience shows that each of these categories of Star Wars stories produces different kinds of anticipation, speculation, and enthusiasm in the fandom. The Original Trilogy set Star Wars on this course from its inception. After The Empire Strikes Back, George Lucas launched the fandom on a three-year odyssey. Was Vader telling the truth? If he was, how could that be reconciled with Kenobi’s words in the first film? What would happen to Han? Who is the “another”? Was Luke destined to fall to the dark side, as implied by the vision in the Dagobah cave? When it arrived, Return of the Jedi answered those questions and allowed the Rebellion to defeat the Empire and its Emperor at the Battle of Endor. For fans content to take the Original Trilogy as a complete story, the Ewok victory party was all the catharsis needed. Other fans, though, continued to imagine more Star Wars. In fanzines and fanfic, they pondered what could occur after Endor, as well as the backstories of characters like Kenobi and Yoda, Vader and the twins’ mother, that the movies left close to a blank slate. Starting in 1987, the West End Games roleplaying game provided another outlet to create fan stories in the OT and post-OT galaxy. Lucasfilm reentered the storytelling conversation in the first phase (1991-1998) of the licensed tales of the Expanded Universe. With the OT’s backstory held off limits by edict, these new stories of necessity fell into the other two categories. Over the span of twenty adult novels in the New Republic era, the books proceeded along the post-OT timeline with the OT heroes serving as the core protagonists. The comics offered a separate open-ended narrative, Tales of the Jedi, in the far past of galactic history. Other books focused on side stories, including the aptly titled Tales From… short story anthologies – but in particular the X-Wing novels and videogames and Rogue Squadron comics earned great fan popularity in their own right. Only a few closed-ended stories appeared in the later part of this phase, including Shadows of the Empire (1996) and Anne Crispin’s Han Solo trilogy. The Prequel Trilogy in the aggregate inherently contained a small set of predetermined endpoints, but how Lucas included then over the span of three films was functionally wide open. The fact that Episode I could have started the trilogy in so many possible ways undoubtedly contributed to some of the backlash, because Lucasfilm failed to manage fan expectations of what the opening film would and would not involve. In addition to the box office and merchandise success of The Phantom Menace, the film also sparked millions of words of fanfic and innumerable hours of online and in-person discussion of where the story would go next. Attack of the Clones likewise generated countless fanfics – from giving Anakin/Padmé an alternate universe happy ending to shipping those characters with other partners entirely, from speculating on how Episode III would transpire to writing versions where Anakin did not fall – and more eager anticipation for the final film. Even with some of its plot points known in advance, Revenge of the Sith still delivered elements like General Grievous, Order 66, and Anakin fighting Obi-Wan with a blue lightsaber rather than a red one. The concurrent phase (1999-2005) of licensed Star Wars storytelling included a fascinating mix of stories from the three categories. The nineteen novels of the New Jedi Order series continued the open-ended Skywalker-Solo family saga into a galactic conflict a quarter century after the OT, allowing the second generation to rise into their own heroism. The compelling drama of the ongoing multi-generational NJO tale is often neglected in retrospect, but at the time a significant fandom controversy existed between film-only fanfic and EU fanfic circles, especially when the EU fanfic proved more popular in readership and fan awards at TheForce.Net’s forums. At the same time, the Prequel Trilogy generated an extensive amount of closed-ended content fitting within its in-progress parameters, including movie tie-in novels like Cloak of Deception and The Approaching Storm, books and comics set during the Clone Wars in real-time (2002-2005), and the highly popular Jedi Apprentice and Jedi Quest young adult books. Several side stories gained fan acclaim in this phase too, especially the tales featuring Quinlan Vos and Aayla Secura in the Republic comics and the Knights of the Old Republic videogames, which introduced characters like Revan and Bastila Shan who hold enduring popularity. 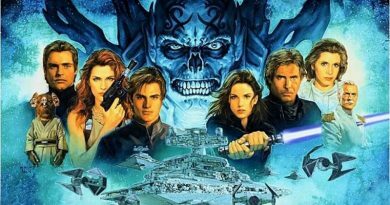 With all of the Prequel Trilogy’s spoilers and denouements finally revealed, the third phase (2006-2014) of the Expanded Universe provided the greatest variety of stories across the three categories. The multi-generational Skywalker-Solo ongoing narrative continued in another twenty novels through the Legacy of the Force and Fate of the Jedi series – though, as we have documented extensively at FANgirl Blog, a compounding cycle of unfortunate decisions for the portrayals and arcs of major first and second generation characters ultimately led to a rapid collapse in fan interest in the official storyline. In the comics, the Legacy and Knights of the Old Republic series each spanned over 50 issues, creating additional open-ended stories that earned significant fan enthusiasm, as well. The Force Unleashed videogames starring Vader’s secret apprentice – who obviously could not defeat Vader, the Emperor, or Luke Skywalker within the official continuity – nevertheless earned great success as a closed-ended adventure. This phase also offered a number of backstory books and comics, including Darth Plagueis, Outbound Flight, and Mara Jade’s Allegiance and Choices of One. Of the side stories in this phase, the most notable include the Republic Commando and The Old Republic videogame and novels, the Darth Bane novel trilogy, and the Dark Times comic series. Finally, this period also included George Lucas’ animated television show The Clone Wars, which began as an anthology of side stories but later developed into an interweaving closed-ended narrative of story arcs. In creating a new storyline incompatible with the Expanded Universe Clone Wars stories, The Clone Wars also laid the groundwork for the Star Wars franchise to contain multiple versions of events, much as the great comic book franchises of Marvel and DC long have done – and the Star Wars fanfiction community long had enjoyed. The current period of Star Wars storytelling, with Lucasfilm holding creative control subject to the ownership and leadership of Disney, has leaned heavily on closed-ended tales across all mediums. Rogue One takes place in the days leading up to A New Hope, literally handing off the Death Star plans to Princess Leia. 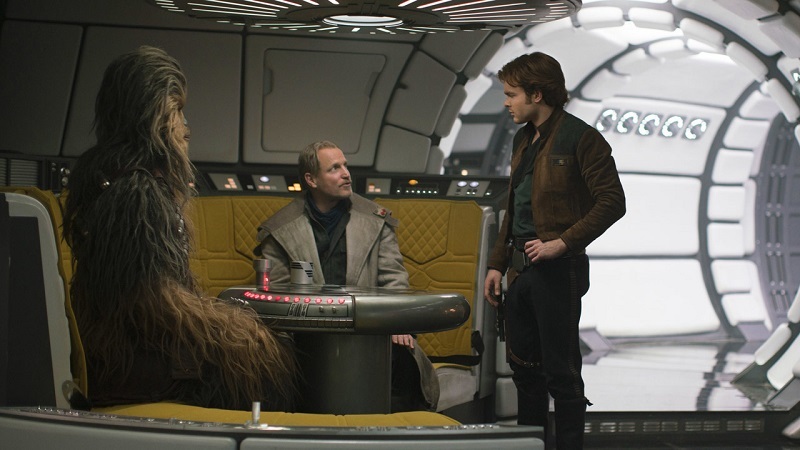 Solo hits all the key highlights of his backstory for the OT; the rumored Kenobi film also would have been a prequel, as would a Fett film prior to his demise in Return of the Jedi. The Cassian Andor series for Disney+ is constrained by his known fate, similar to the significant limitations on Star Wars Rebels and Star Wars Resistance inherent in their relationship to the films. The novels have been mostly prequels to the films – such as Bloodline, Catalyst, Rebel Rising, and Most Wanted – or backstory tales like Ahsoka, Phasma, Thrawn, Last Shot, and Leia: Princess of Alderaan. The comics likewise have kept close in time to the OT movies, as in the Star Wars ongoing and the first Darth Vader series, or told mini-series scope stories about major characters such as Leia, Lando, Kanan, or Phasma. Even the Poe Dameron comic was constrained to a limited scope as a precursor to The Force Awakens and ended as soon as it reached the events of The Last Jedi. A small number of tales in this period have been side stories, such the Battlefront videogame and books, the Aftermath trilogy, Lost Stars, the Canto Bight and From a Certain Point of View anthologies, and the Doctor Aphra comic series. While the time period placement and story description for The Mandalorian on Disney+ means fans are unlikely to know in advance how its character arcs and plotlines resolve, unless the series recurs for a large number of episodes, the most likely eventuality is that it also will be a side story rather than an open-ended major narrative. And too little is known at this point about film projects in the hands of Rian Johnson or David Benioff and D.B. Weiss to assess which category they might fall into, should they come to fruition several years from now. In that light, only the Sequel Trilogy itself presents the great question of What Happens Next? in today’s Star Wars. The fevered pitch of anticipation for The Force Awakens reflected the almost limitless possibilities for where the lives of the Original Trilogy heroes could have taken them in thirty years, and how the next-generation characters revealed in the trailers fit into the continuation of the existing six-movie major narrative. The significant amount of repeat theatrical viewings of Episode VII, together with a new surge of fanfic and other fanworks after its release, confirmed that The Force Awakens left open numerous possibilities for the following two films in the trilogy. Regardless of the other controversies with the film – some genuine disappointment or bona fide critique, others bad-faith trolling or malicious bigotry – The Last Jedi failed to live up to the narrative expectations of a second film in a Star Wars trilogy. Just like The Empire Strikes Back, Attack of the Clones also raised specific questions about what would happen in the third film. What is the exact motivation for Anakin’s fall? What is Padmé’s fate? Under what circumstances are the twins born – and would it reconcile with Leia’s faint memory in Return of the Jedi? How does the Republic fall and the Emperor seize power? 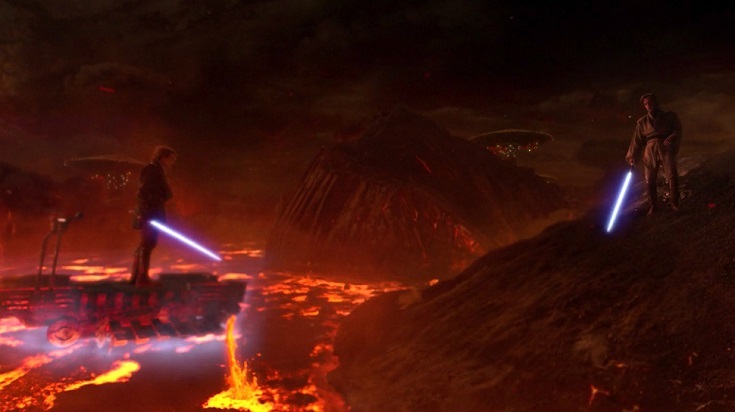 What brings Kenobi and Vader together for a duel on a lava planet? Had The Last Jedi ended with a few short epilogue scenes immediately after the Supremacy split asunder, a whole host of open questions would remain. By continuing on to Crait, however, the movie confirms the Jedi choices of Rey and the murderous choices of Kylo Ren in the aftermath of the throne room and culminates in the death of Luke Skywalker. After Crait, the questions posed for Episode IX are high-level and abstract: How will the Resistance prevail over the First Order? How will Rey and her friends defeat Kylo Ren – and, perhaps, the Knights of Ren? Will there be any more new Jedi besides Rey – and if so, who? What will be the legacy of Leia Organa, the only surviving member of the Original Trilogy heroes? Although the fanfic community remains active, including alternate-universe stories and all manner of shipping, the degree of generality rather than specificity in the open questions after The Last Jedi leaves the Sequel Trilogy at an unprecedented point for the franchise. In addition, the earliest official hints about Episode IX raise another storytelling prospect for the franchise: the consequences of the “final installment of the Skywalker saga” in the movies. The family storyline that sustained the franchise for thirty-five years seems to be facing an ignominious end: Han and Leia estranged; Han reverted to a struggling indebted smuggler before his murder by their only son; Leia leading a Resistance with scant political support and no allies willing or able to respond to the distress call from Crait; Luke a failure as a Jedi Master in years-long self-imposed self-blaming exile until a few final minutes of self-sacrifice; and Kylo Ren, the only next-generation family character, having slain his dark master and assumed the title of Supreme Leader of the First Order before giving commands for the murder of his uncle and mother and all of their followers. Barring an unexpected, and seemingly unlikely, revelation of familial heritage in the third film, Episode IX appears poised to deliver on that marketing. While The Force Awakens introduced a new generation of heroes – Rey, Finn, and Poe – who might rise to the challenge of defeating evil, The Last Jedi did not further build the bonds of found family between them, but instead separated the three new heroic leads from one another for the vast majority of the film. Perhaps Episode IX will once again strive to reforge the Sequel Trilogy characters into a heroic band worthy of standing in the shoes of the Original Trilogy’s – but the risks are significant. 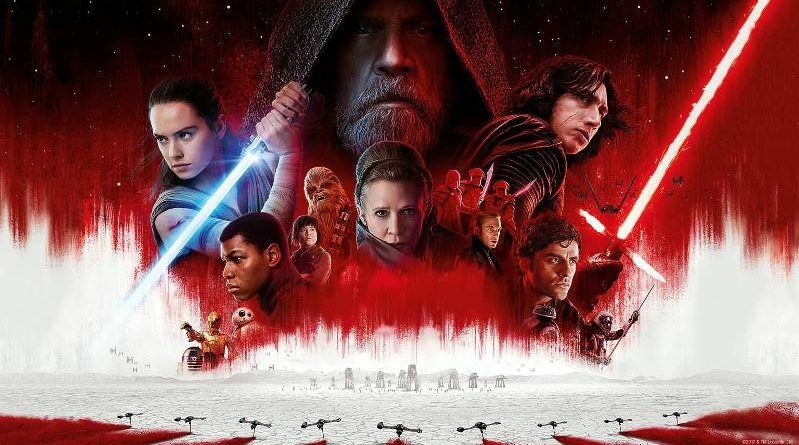 If the audience does not connect with the new characters in the same way, if the fans do not end the Sequel Trilogy as entranced by the possibilities of more stories with those characters, then the Sequel Trilogy will not mark the latest stage in an open-ended ongoing Star Wars major narrative, but rather will become only the closing end of a principal narrative along with the prospect of future side stories with familiar faces. The previous trajectory of the franchise is not without examples of successful fan-favorite open-ended stories or side stories apart from the Skywalker family saga – ones that drive ongoing enthusiasm for What Happens Next? – but they are rare, and the weight of the evidence is to the contrary. The heavy reliance on closed-ended narratives in the rest of the current crop of Star Wars stories offers the opportunity for foreshadowing, dramatic irony, interconnectivity among character arcs and plotlines, and other storytelling techniques that can be rewarding for highly invested fans who consume all of the material. 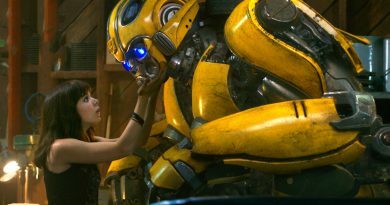 But the franchise’s track record shows that the greatest appeal for the widest breadth of fans has come from ongoing narratives that continually prompt distinct speculation, anticipation, and enthusiasm for What Happens Next? A year from now, the franchise and the fans will discover where the end of the Sequel Trilogy leaves Star Wars positioned for its future.